With a customized itinerary in hand, two mothers and two daughters from the Pittsburgh area joined me on a tour along the Mercer County Wine Trail. The group wanted time together to celebrate before their daughters started graduate school in the fall. The Mercer County Wine Trail impressed them as a perfect opportunity to have fun together and make special memories. 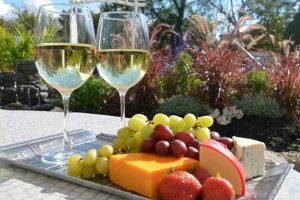 For their getaway, the group chose a weekend stay at Tara – A Country Inn with a five-hour wine tour on Saturday starting at 11 a.m. While gathered on the front porch at Tara to await transportation. 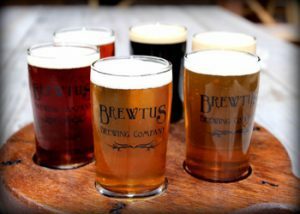 MERCER COUNTY, PA – The Mercer County PA Wine and Brew Trail is off to a great start with eight wineries and three breweries for groups and individual travelers to enjoy when visiting this charming northwestern PA county. 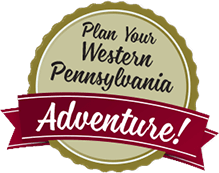 VisitMercerCountyPA provides customized itineraries that include at least three stops on the wine trail, brew trail, or both. Featured in each itinerary are tastings, a production tour, snacks, and a distinctive meal and entertainment at one of the stops.